Is there a guideline to cook vegan in a restaurant? 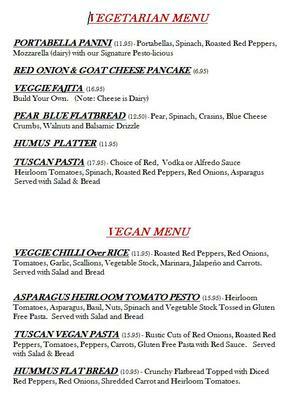 We have a small family run cafe and we have added a vegetarian and vegan menu for our clients. The comment was made to us that we could not offer vegan items on our menu unless we had an area set up where only vegan was prepared to guarantee no cross contamination. I know this can be critical for Gluten Free from personal experience and therefore we do not offer any gluten free items on the menu, however we can prepare them on request so long as the customer knows we do not have separate areas for this cooking. ie) it depends on their sensitivity. So back to Vegan items. I do not want to mislead customers who wish to order the vegan items and we are trying to decided if we should take them off of the menu. We are a scratch kitchen and food is not prepared in advance. Comments for Is there a guideline to cook vegan in a restaurant? Don't take them off. I agree that you should just add an asterisk with the details in small print. I don't understand how being against cross contamination could help animals or the environment so I feel like you're in the clear. I think that you only need to make the clarification somewhere on the menu. It's the exact same issue as serving gluten free food, but it's not something that will affect someone's health. There are plenty of vegan items we buy on a daily basis that state they're "made on shared equipment with milk" or "made in a factory that also processes milk and eggs". I'm sure there are people who will disagree with me, but I commend you for even trying to accommodate vegans!